If you find yourself wondering, “Are there any dry cleaners open on Sunday near me?”, we’ve got great news! Our North, Central and South EcoClean Austin dry cleaners are open on Sundays. This means that your Sunday cleaning routine just got a lot easier. No more saving your dry cleaning to be taken care of during your work week! Sometimes it can be hard to track down a dry cleaners that is open on Sunday in Austin, TX. However, we’re here to offer the perfect solution! Just visit your local weekend dry cleaners at your closest EcoClean location. While our locations may not offer Sunday same day dry cleaning, our standard turnaround time is 48 hours with a 24 hour turnaround option upon request. We want to be considered your official “Sunday dry cleaners”. So, we invite you to try out our EcoClean dry cleaners’ Sunday hours! 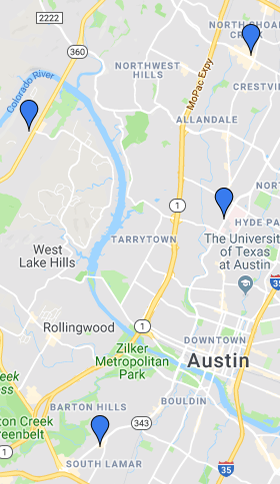 Check out the closest EcoClean location to you in Austin, TX by visiting the “Locations” page on our website to view each location’s dry cleaners Sunday hours individually. No more searching for the Sunday dry cleaners “near me”! Save time, money, and the environment by choosing EcoClean for all of your dry clean only goods...even on Sunday!